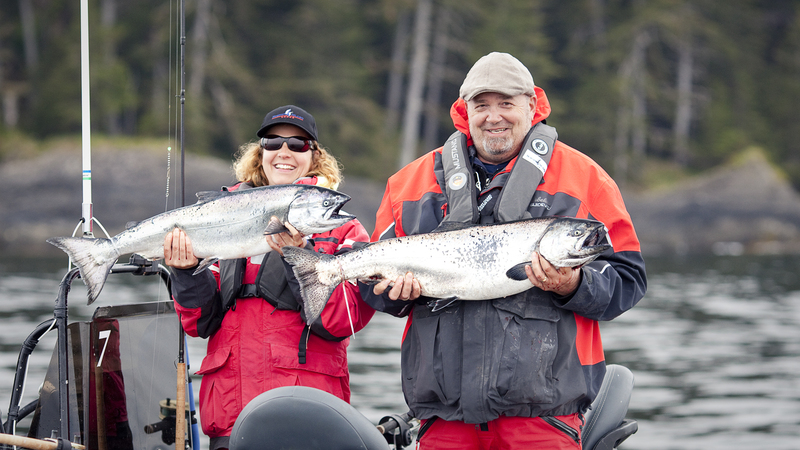 Legendary Returns Of Chinook Salmon, Great Weather & Whale Shows All Season Long! 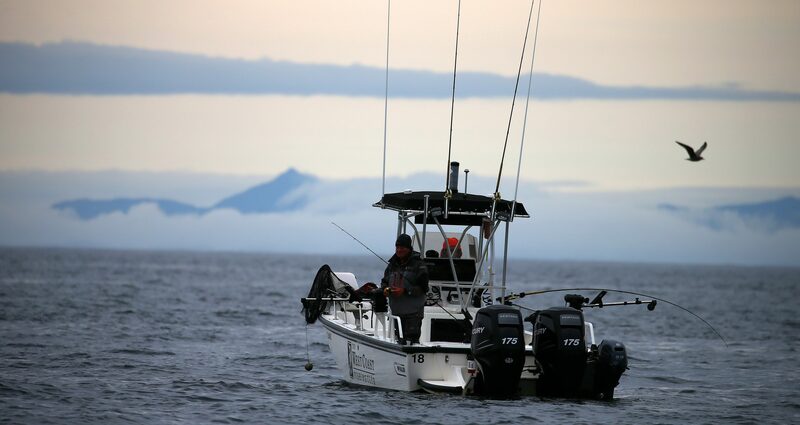 From opening day on May 31 to the last chopper’s departure on September 9, the 2015 fishing season was one of the most successful and memorable in the history of The West Coast Fishing Club. 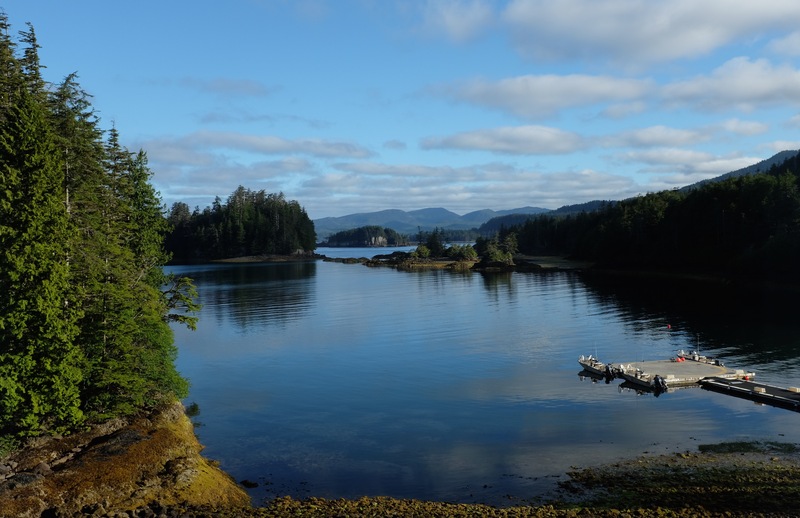 With all three lodges operating at full capacity, our guests enjoyed consistently good fishing, record days of zero precipitation, and an abundance of marine wildlife to fill the moments between Salmon strikes. 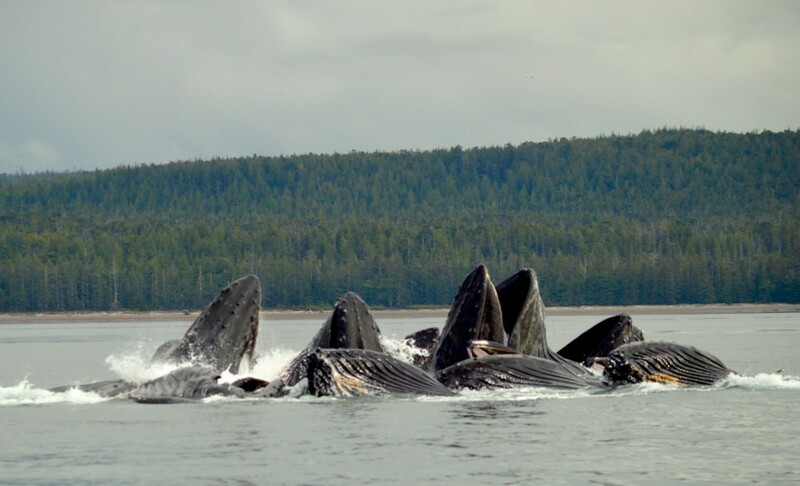 * Feeding time for these bubble feeding humpack whales. According to long-time guests Bob McDonald and Peggy Zoro, opening day for The Clubhouse was unprecedented. 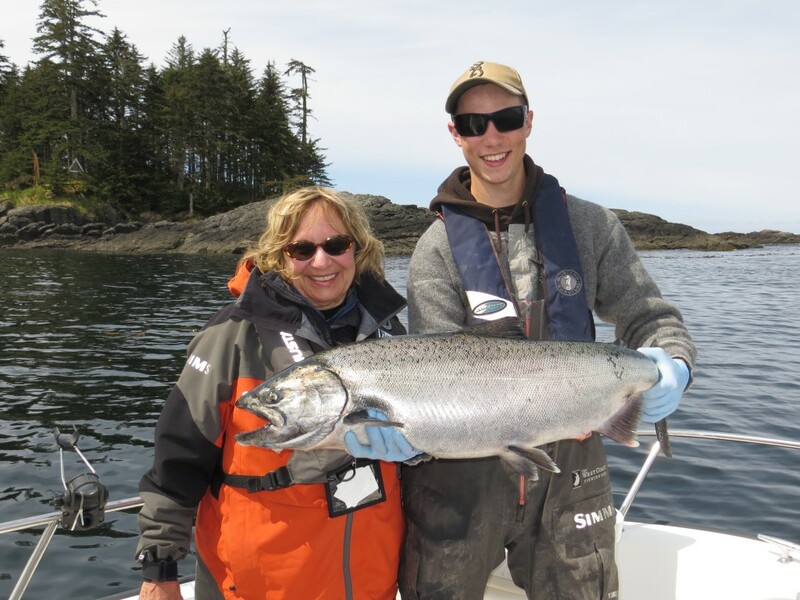 Peggy made it clear to those in attendance that this was her “best afternoon of fishing ever at Langara Island” with all boats producing big numbers of Chinook Salmon ranging from mid-teens into the twenties. The Short Notice Club Salmon Derby, a season-opening tradition at The Clubhouse, was hotly contested, with the spoils of victory going to Dave Rishel, whose 29-pound fish secured him a return trip for two later in the year. By week two, Tyees had become a regular occurrence, including a nice his and hers set for Clubhouse guests Lad and Sandee Dawson, who celebrated their wedding anniversary with their first-ever Tyees, a 31 for Sandee and a 36 for her groom. 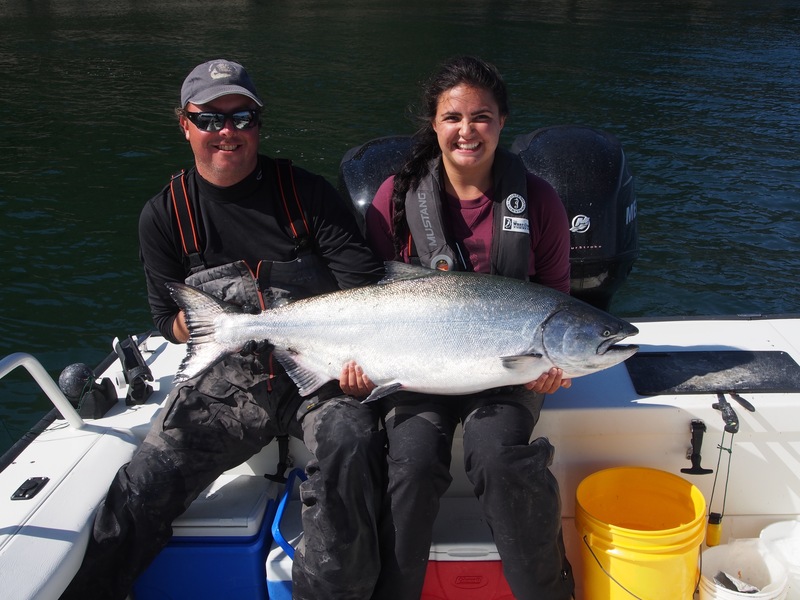 * Peggy Zoro and guide Owen with a perfect take home Chinook. *Yves, Anik, Josee and guide Peter with Lise Barrette’s 2nd place fish in the SNC Salmon Derby. 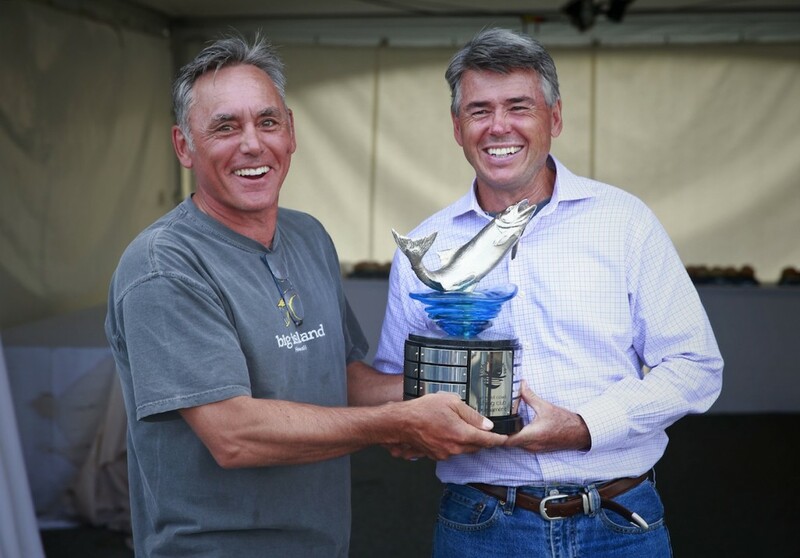 * Tournament manager Randy Lee and SNC Salmon Derby winner Dave Rishel. * Lad and Sandee Dawson pose with a beautiful 36lb Tyee. 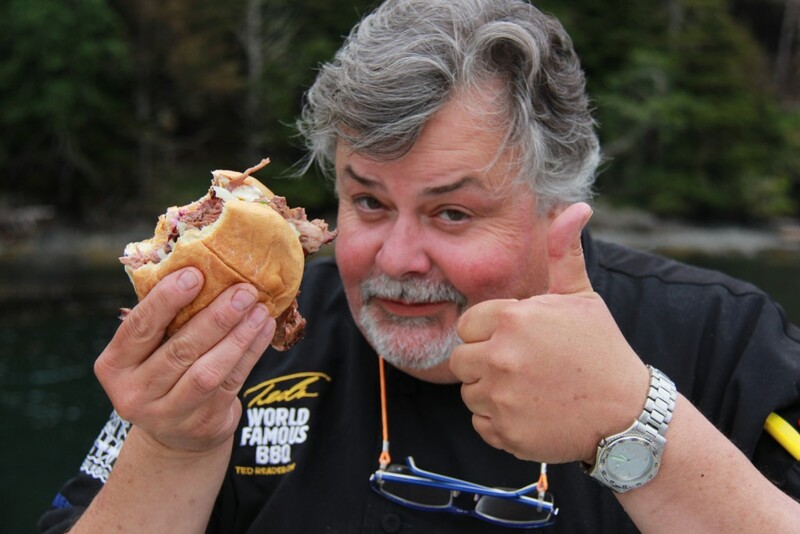 But it was North Island Lodge guest Ken Gardiner who rang the bell on the first Tyee of the season on June 4, an even 30 on a self-guided mission to Gunia Point. Ken was part of a feisty group of eager anglers who were the inaugural participants in The Ultimate Grill Showdown, a new tradition for the North Island Lodge that welcomed the ‘Godfather of the Grill’ Ted Reader, Park Heffelfinger from Memphis Blues Barbeque House, and celebrity chef Christian Pritchard to headline a trip that spoiled our guests with extraordinary BBQ fare each day. On the following trip the stellar fishing continued, as NIL guest Nathan Merkel moved the bar higher with a 42 pound fish, guided by Patrick Davies off McPherson Point. * Chef Christian Pritchard and Chef Ted Reader putting the final touches on lunch. 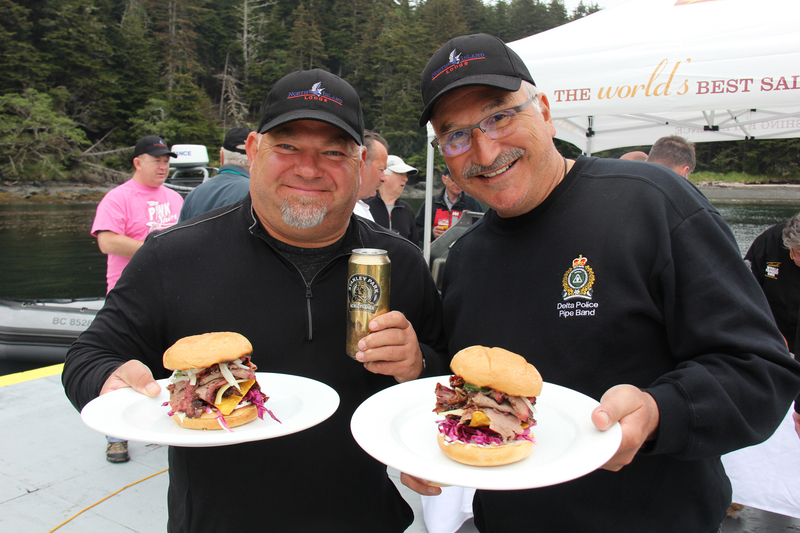 * Ken Ohlson and Ron Henze enjoy a beer and a smoked brisket sandwich on their lunch break from the busy Chinook action. 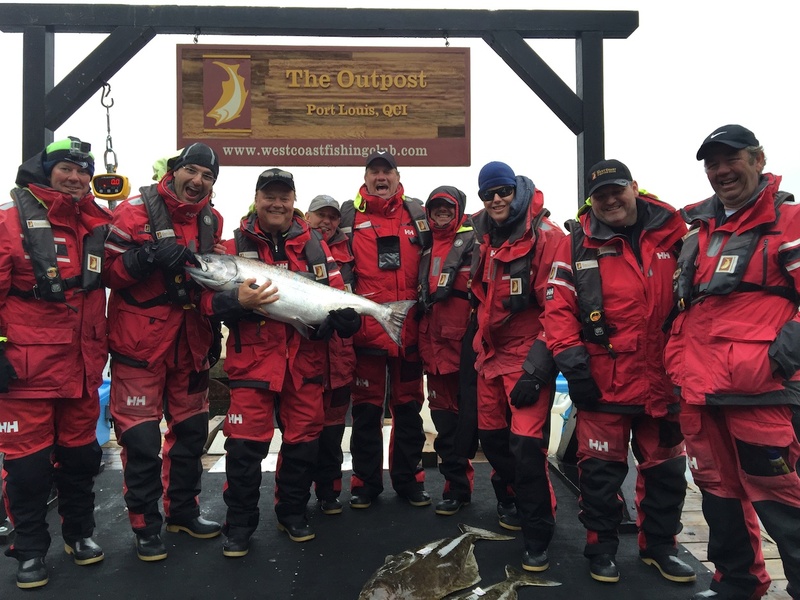 On June 5 The Outpost welcomed its first group of excited anglers and the bite was on from the opening afternoon in all the usual spots outside the bay, and in particular at Three Rocks just a 10-minute run from the dock. The first trip saw lots of Chinooks in the mid-twenties and the first Tyee of the season on the final day to cap off a productive opening trip. 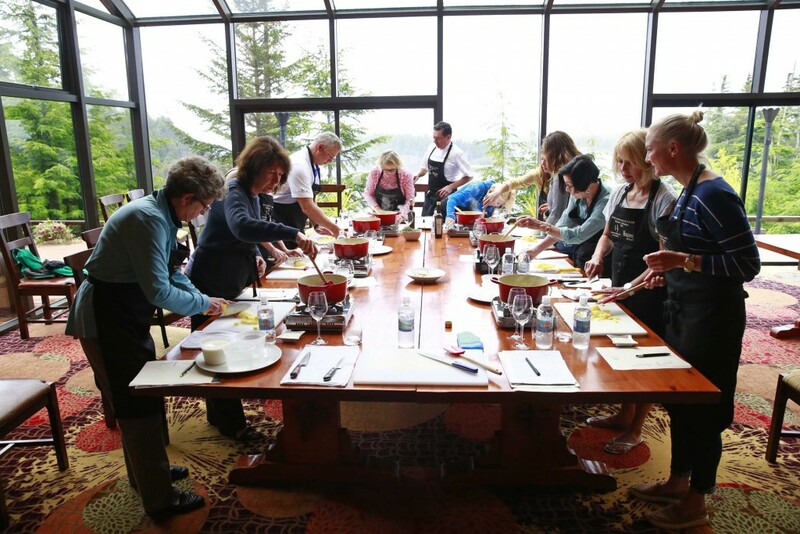 Guests of The Outpost were also treated to the indescribable fare prepared by the husband and wife chef team of Paul Moran and Stephanie Noel. 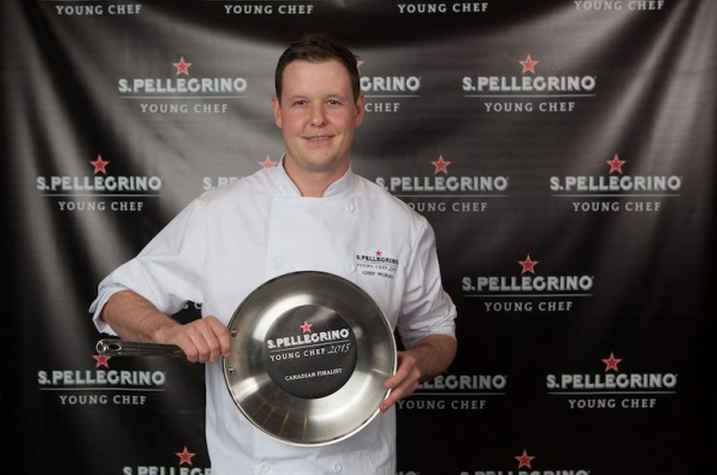 Earlier in the year Paul won the 2015 San Pellegrino Best Chef Under 30 in Canada competition, and then represented Canada in Milan, Italy for the title of World’s Best Young Chef, where he finished fifth among 20 of the world’s best and brightest. * A group of excited anglers pose with the fish of the day after an epic afternoon in Port Louis. * Shot of Paul Moran from his time in Milan. 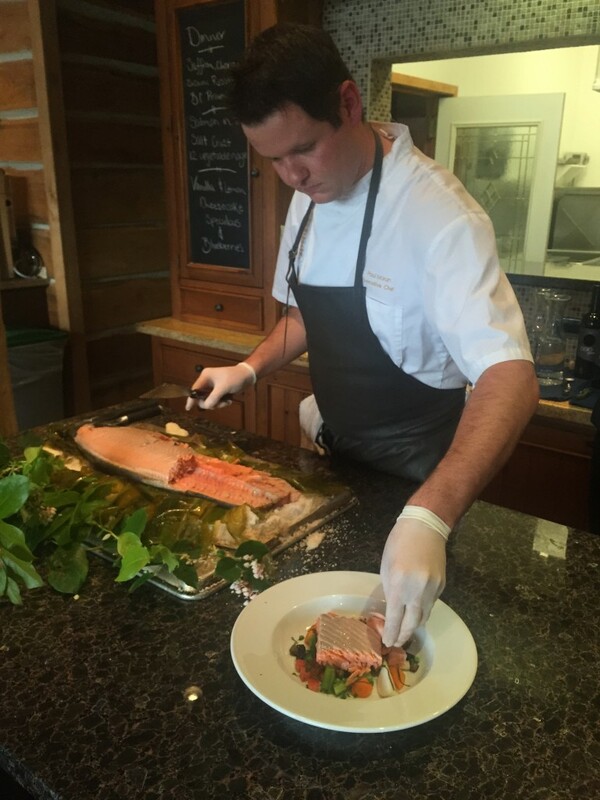 * Chef Paul Moran serving up Paul & Steph’s famous salt baked Chinook Salmon at The Outpost. * Sadly all good things must come to an end as we said goodbye to the first Outpost exclusive of the season. 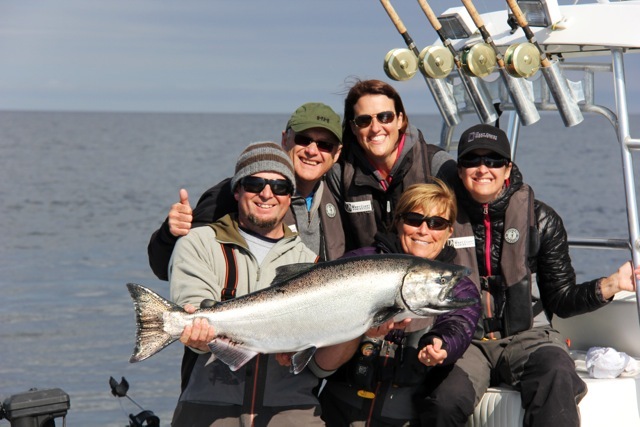 After the June 7 to 11 trip, The Clubhouse’s veteran head guide Screamer (Mike Tonnesen) reported a wonderful stat – five Tyees all caught by women anglers in a single trip, which was a first for The West Coast Fishing Club – Lisa Stewart (37.5), Janis Gilchrist (34), Lisa Hudson (31), Clio De La Llave (30.5) and Merlyn Hough (30). 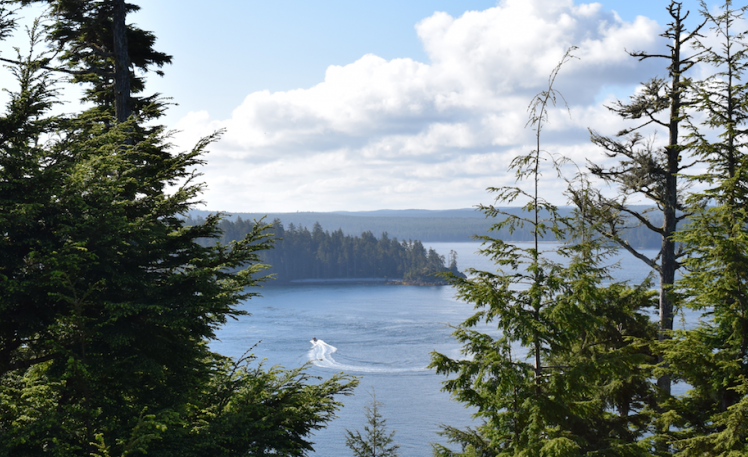 And as an almost unprecedented length of sunny days continued through Canada Day, Screamer reported that there were Chinook Salmon all over the east side of Langara Island, with more fish in the twenties showing up out west and on the north side of Graham Island. Much of the action was at shallow depths, with most boats running mooching rods out back and being rewarded for their efforts, and more and more Coho in the seven to nine-pound range showing up too. 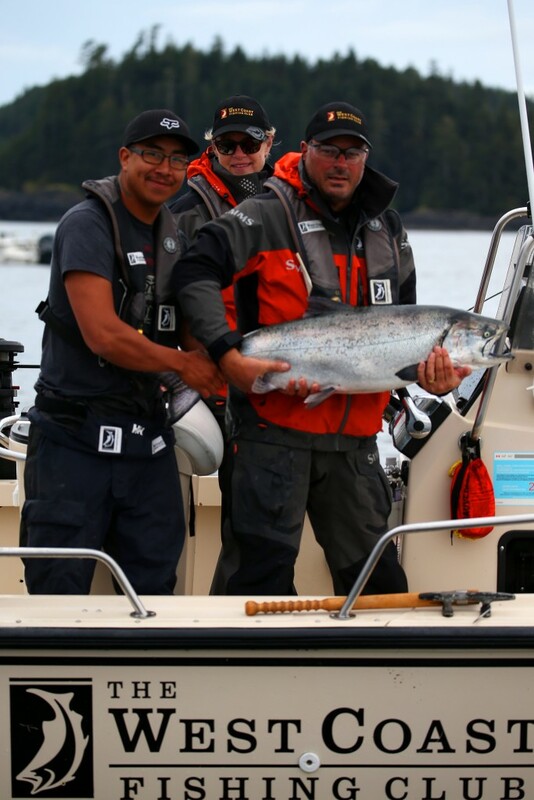 While the Chinook action wasn’t as consistent as in June, the trend toward bigger fish continued through July, with even greater numbers of Tyees being logged by guests in sizes that seemed to steadily increase both at Langara Island and Port Louis. 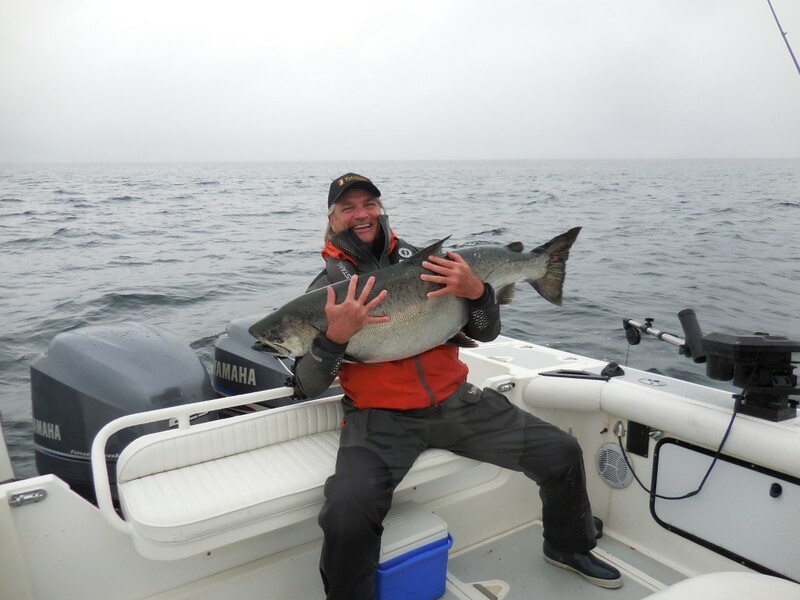 A bit of rain finally arrived in the middle of the month but went largely unnoticed as monster Chinook Salmon continued to move through Parry Pass, feeding on massive clusters of bait all along the top end of Graham Island. * Heading off to the fishing grounds on a sunny June day. 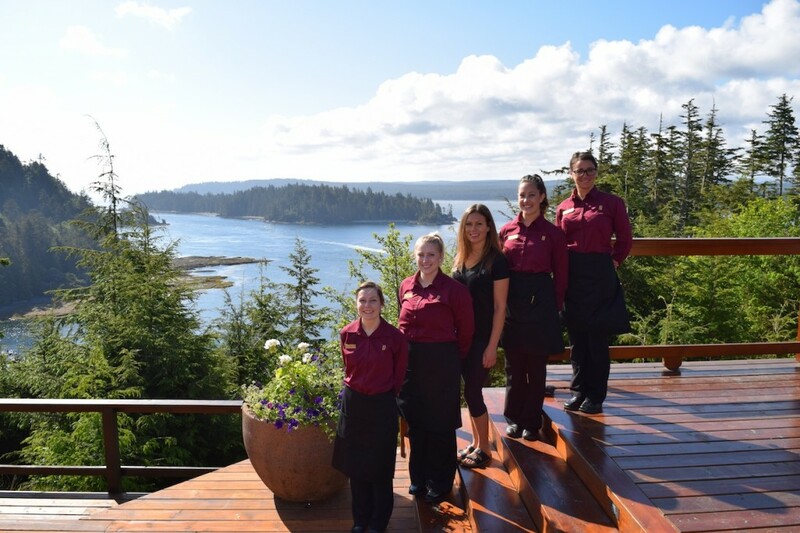 * A collection of our all star staff enjoying some time in the sun: Lisa, Kalli, Sylvia, Alison and Jessica. 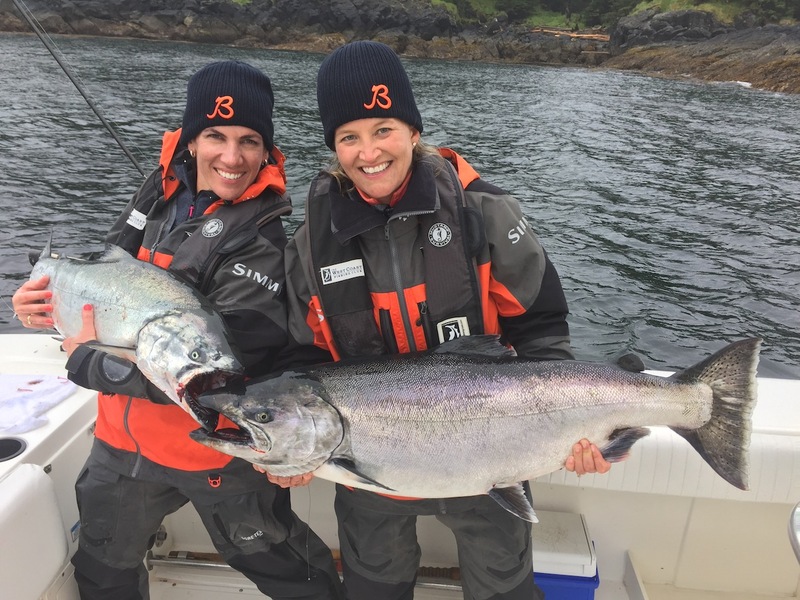 * Brooke Meeker and Lisa Stewart pose with some nice Chinooks. 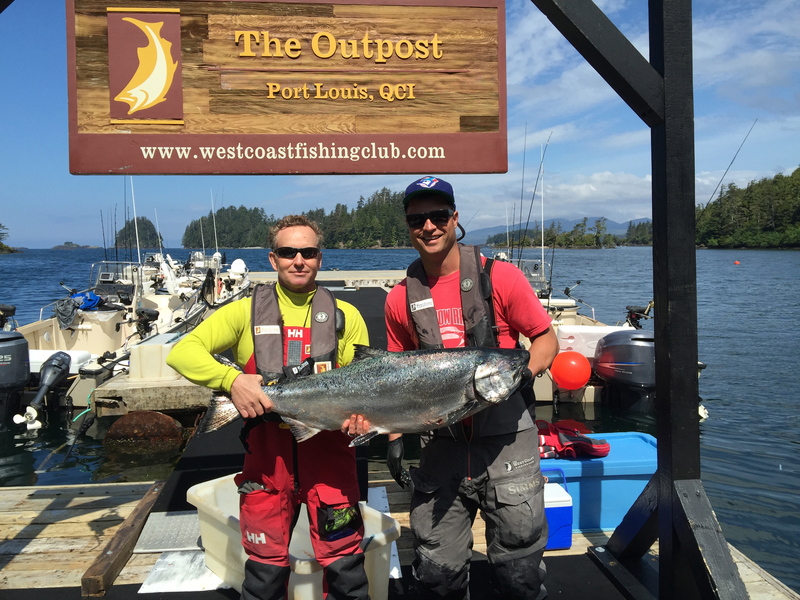 * Brent Ferguson and guide Carl Archibald with a 34lb Tyee at The Outpost. 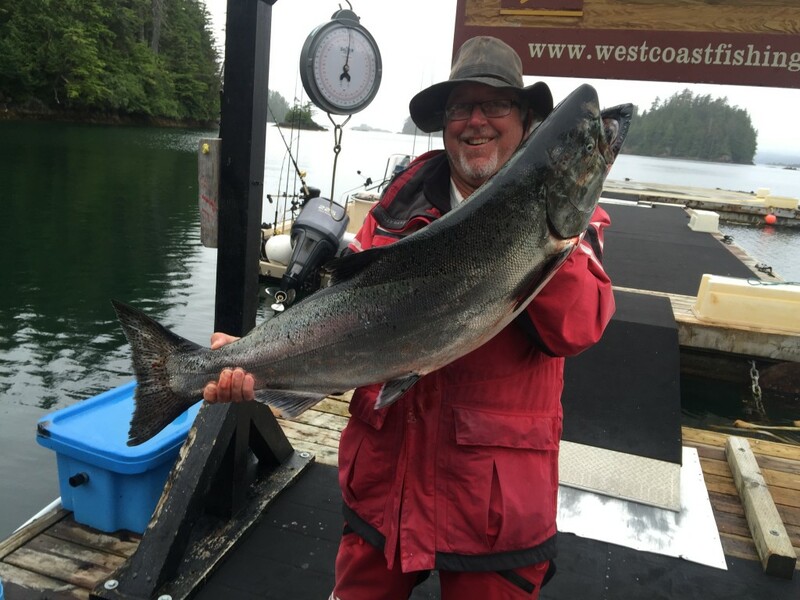 North Island Lodge guide Brent Gallacher went on a roll in mid-July, guiding his guests to three fish topping 40 pounds over the course of just three days, including a new club-leading record for the season, a 47.5 pounder for Ed Fox. Brent also served as resident Halibut guru, guiding his guests to several sessions of memorable days of boating perfect turkey Halibut in the 40-60 pound range. * 47.5lb release for Ed Fox and guide Brent Gallacher. 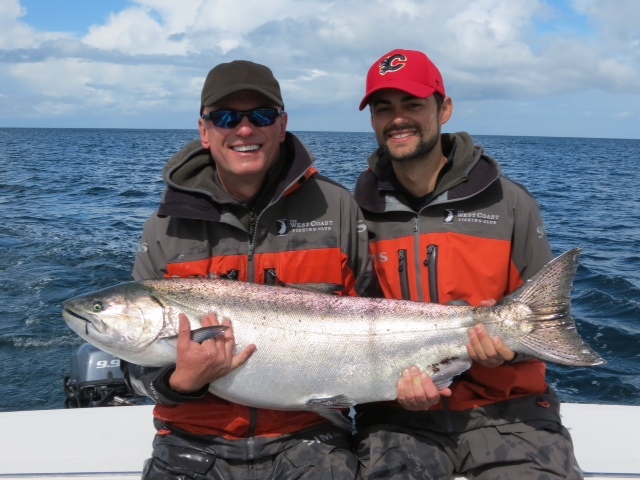 * 42lb Tyee for Nicolas Simon Jr. and guide Brent Gallacher. 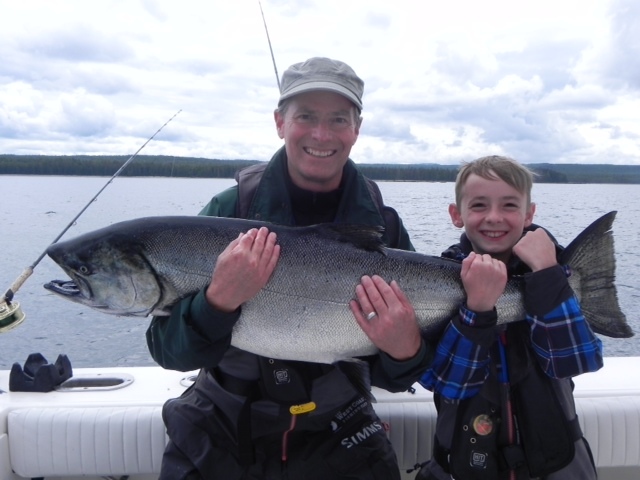 * Scott Burns and his son Clayton hold a 37lb Tyee. * Perfect morning at The Outpost. 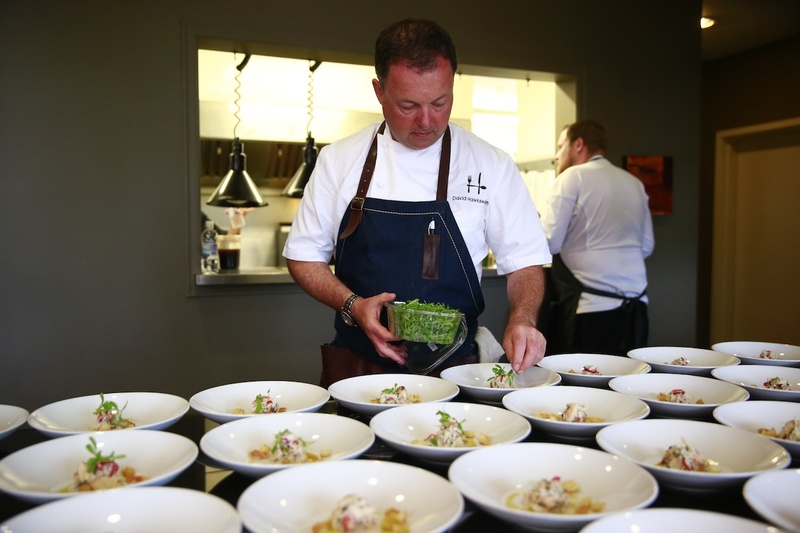 The following week saw David Hawksworth of Hawksworth Restaurant make his way up to The Clubhouse for the ninth annual David Hawksworth and Friends Culinary Adventure, which welcomed this year’s guest celebrity chef, Normand Laprise, of Montreal’s Toqué! Restaurant, by far the most celebrated of Montreal’s fine dining establishments. Other members of Canada’s culinary elite in attendance included Justin Leboe from Calgary restaurant, Model Milk, who gave the first culinary demo class of the trip, and Dino Renaerts, who found the time to undertake a self-guided mission with international sommelier Mark Davidson that yielded an impressive result. The principal of the Bon Vivant Group landed and promptly released a spectacular 55-pound Chinook Salmon, the largest of the season to date for The West Coast Fishing Club. * David Hawksworth putting the finishing touches on one of his beautifully crafted dishes. 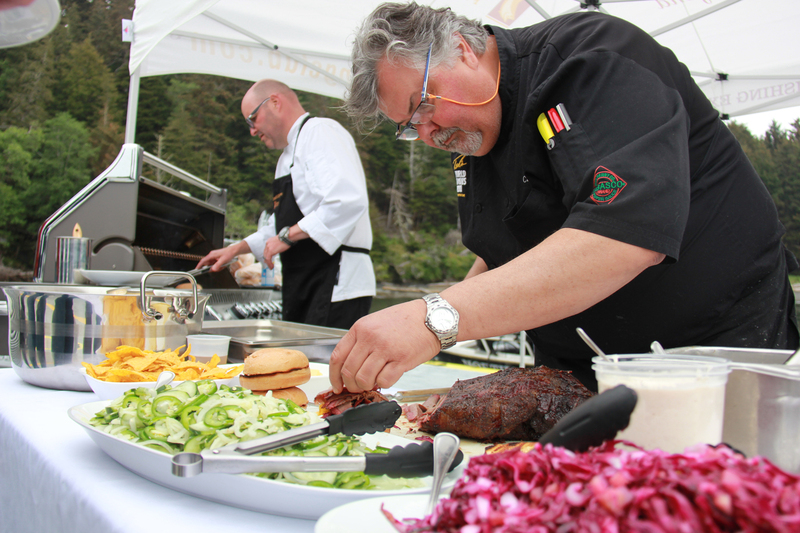 * All hands on deck for Normand Laprise’s cooking demo. 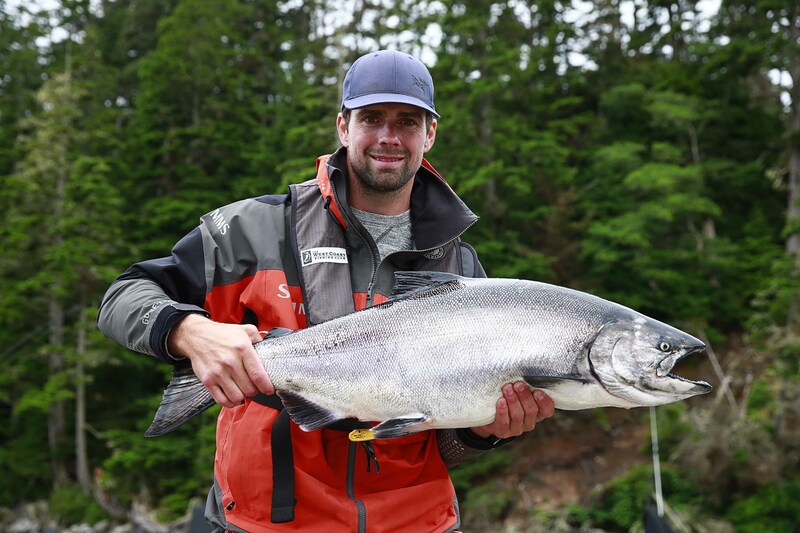 * Dan Hamhuis with a nice Chinook. * Mark Davidson and Dino Renaerts with a 55lb Tyee. There were plenty of fish in the waters around Port Louis too, possibly even greater in number than at Langara Island, but with fewer in the upper range of Tyee-sized fish. Hippa Island began to produce well for guests of The Outpost, who caught countless fish from the mid-20’s to low 30’s down that way. 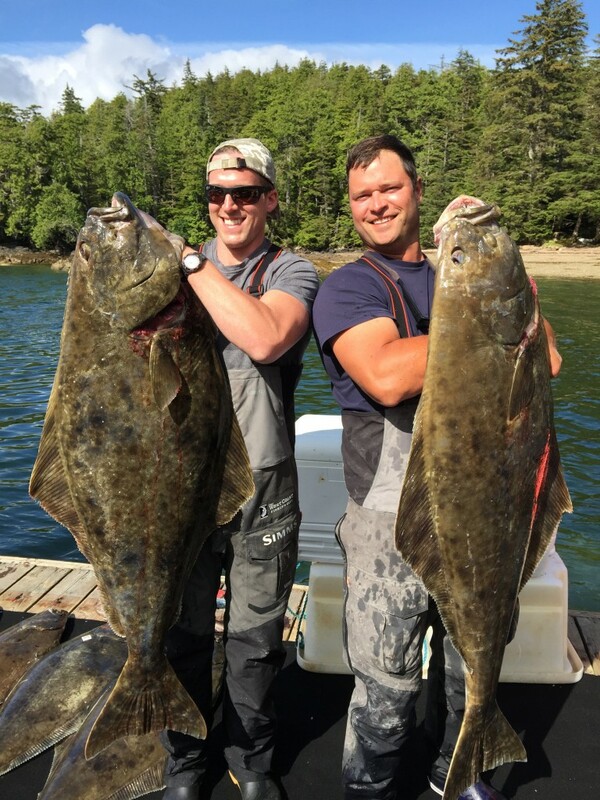 Halibut lovers rejoiced on these waters all season long, with almost all guests taking home perfect fish in the 130-centimetre, 50-60 pound range. * Blake & Jada Snider with two perfect take home size Halibut. 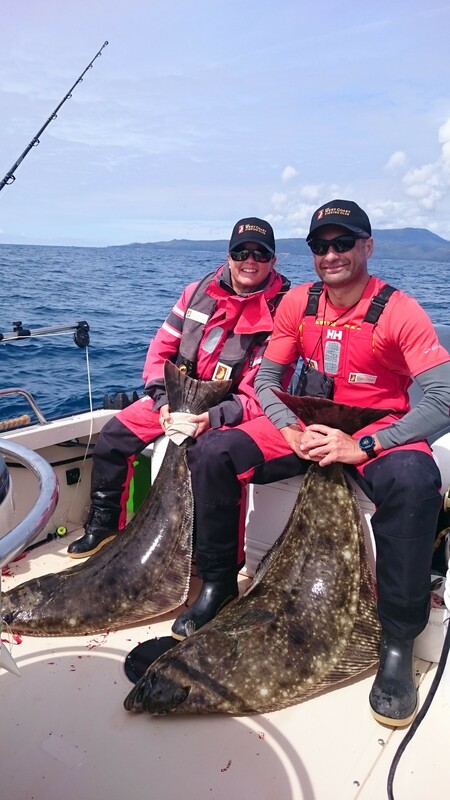 * Chris Dale and Carl Archibald pose with two perfect Outpost Halibut. With very consistent fishing towards the end of July, the Salmon continued to be larger with every passing week, including a 61.5 pound prize hog for Douglas Smith, which, remarkably, turned out to be the first Salmon he had ever caught and the best fish of the year for The West Coast Fishing Club. The Club salutes Douglas and veteran Clubhouse guide Bud Stafford for releasing this magnificent fish unharmed. * Douglas Smith all smiles with his 61.5lb Tyee. 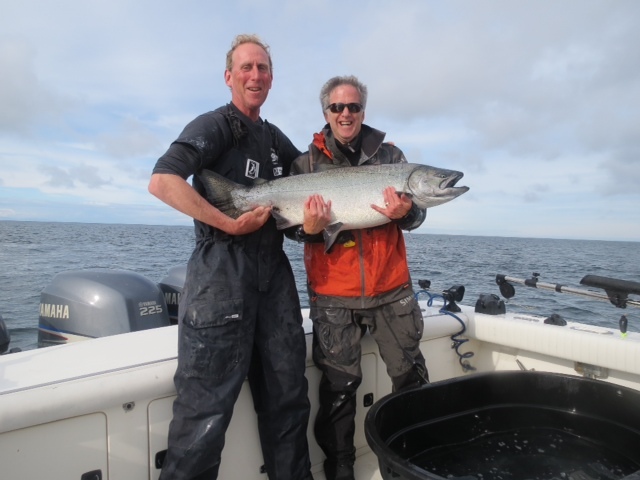 * Arden St. Andre and guide Mike Ross with a 40.2 lb Tyee caught and released in Explorer Bay. 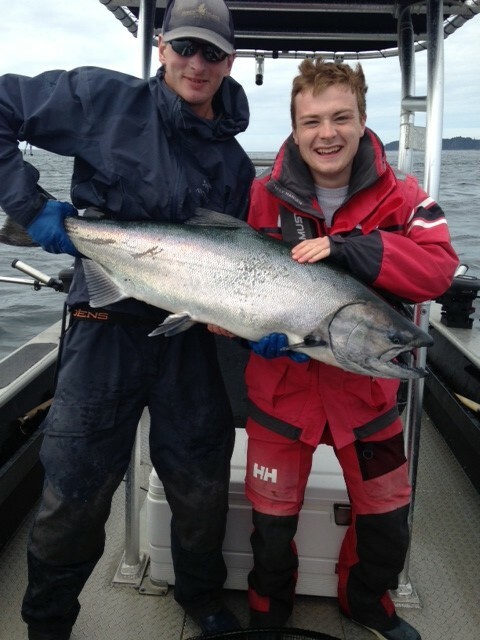 * Mark and Harrison Zivot pose with Mark’s 36lb Tyee. * Randy Hansen and a 31 lb Tyee at The Outpost. 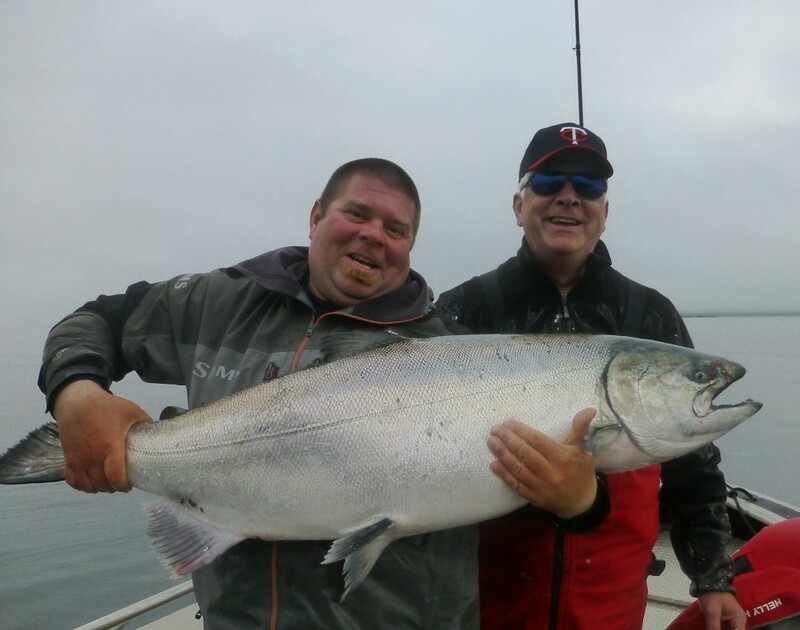 * Screamer with Jeff Kuhns and his 41.2lb Tyee that was released shortly after. 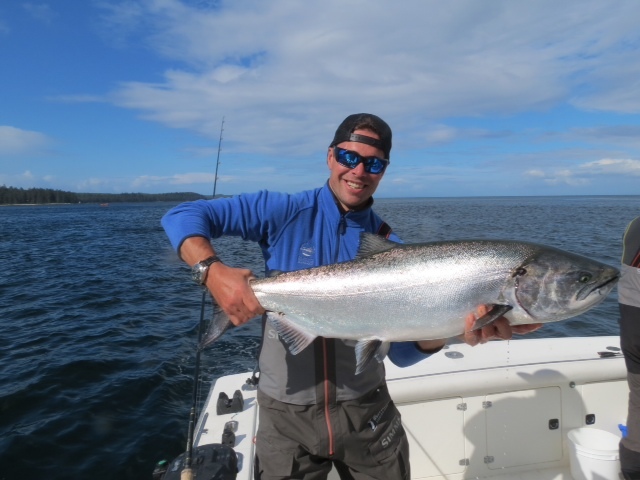 Once again, August produced one of the greatest concentrations of large fish typically found both at Langara Island and Port Louis. The Clubhouse guest Bob Nicholls found that to be true, as guide Korey Fletcher found him a 57 on August 18. 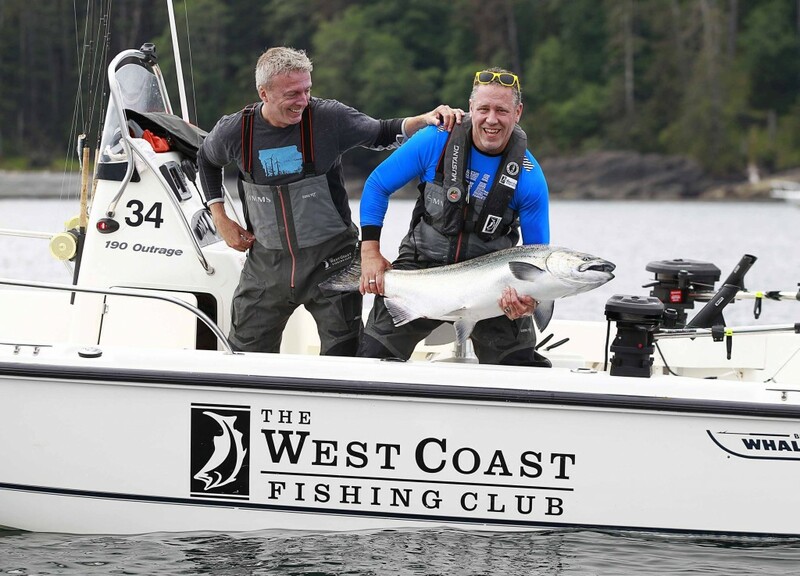 Just days later, The Clubhouse hosted the 10th annual Fishing For Kids Tournament, which has evolved to become Canada’s most prestigious and benevolent sport-fishing tournament, benefiting the Canucks Autism Network (CAN). 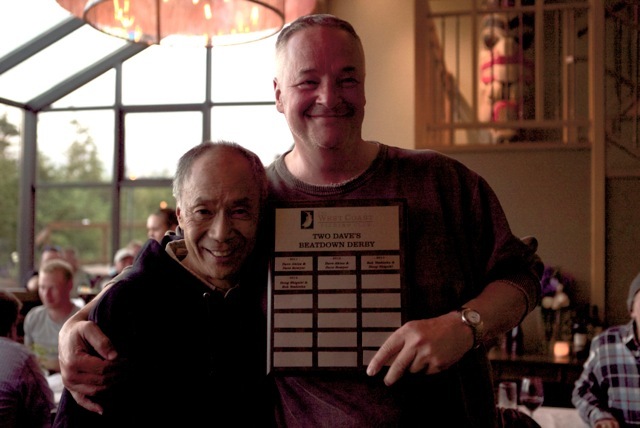 This year’s winner was Bob Wallis, who caught a 34.12 pound Tyee off Pop-off Point that earned him a $200,000 cheque that he donated to the cause in what has become a tournament tradition in support of BC families living with Autism. This year’s tournament raised an even one million dollars for CAN, and brings the total amount raised to date for BC Children’s charities to just under $7 million. 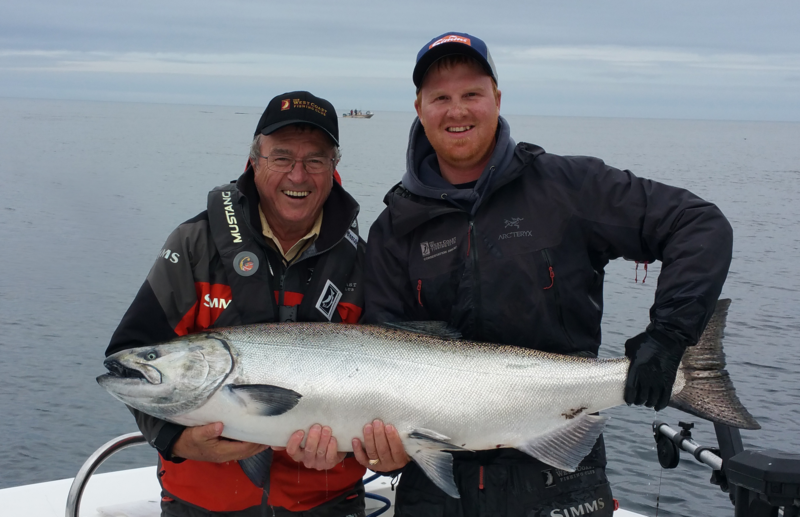 * Bob Nicholls and guide Korey Fletcher with a long 57 lb Tyee. 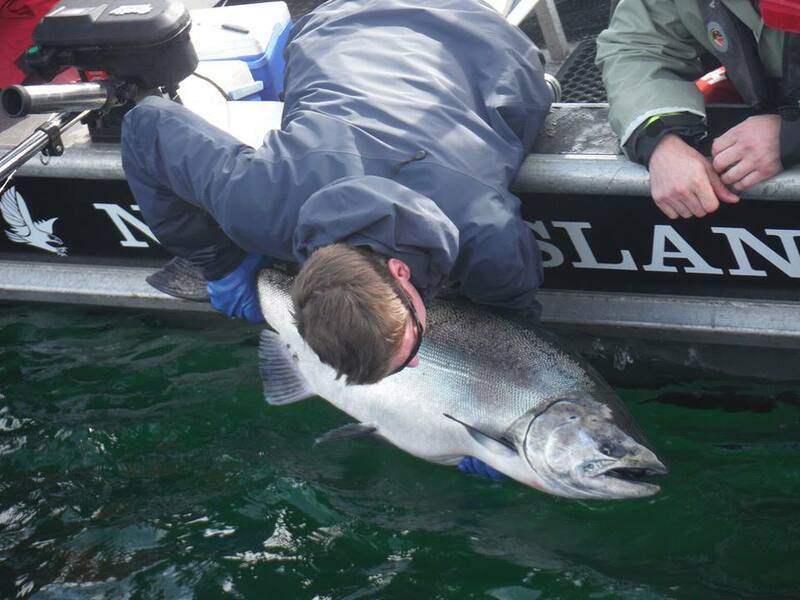 * Al Norris and North Island Lodge head guide DJ with a 50lb Tyee. * Willie Mitchell with a nice fish during Fishing For Kids. 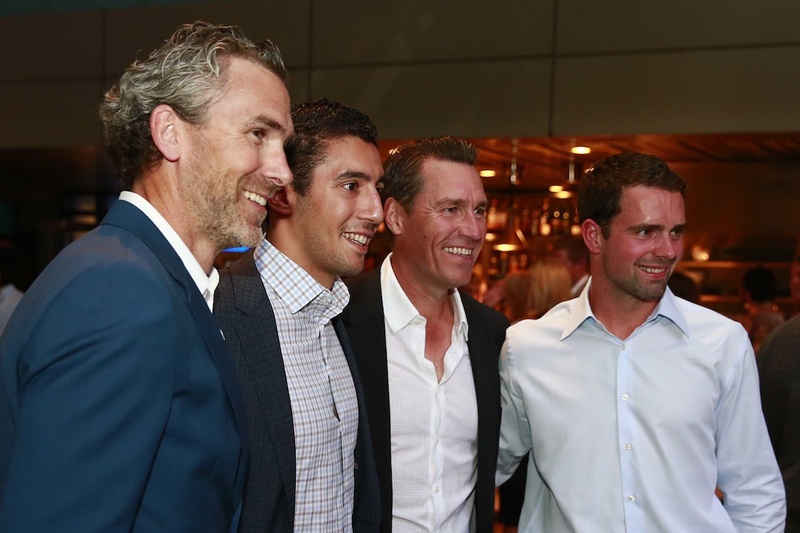 * Trevor Linden, Frankie Corrado, Kirk McLean and Dan Hamhuis enjoying the reception held before the Fishing For Kids Tournament at Reflections in the Rosewood Hotel Georgia. * Passing of the torch: 2014 tournament winner Bruce Langereis presents 2015 winner Bob Wallis with the coveted FFK trophy. 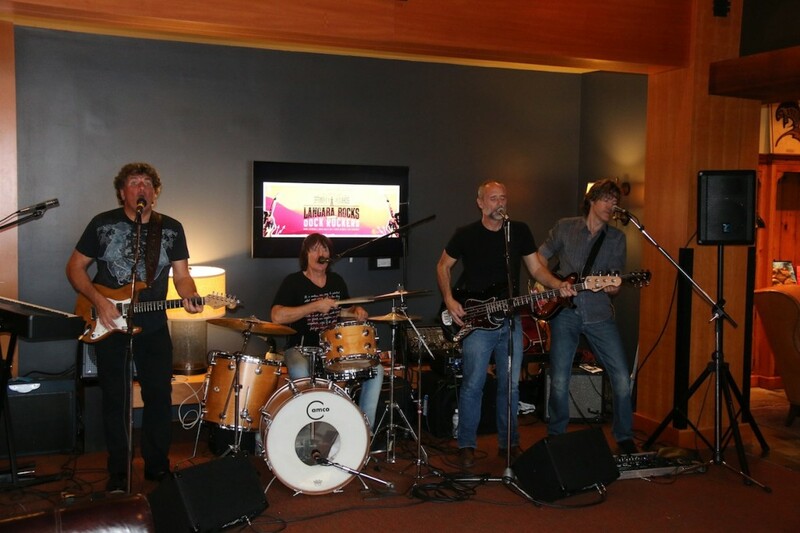 * The Dock Rockers bringing the house down. 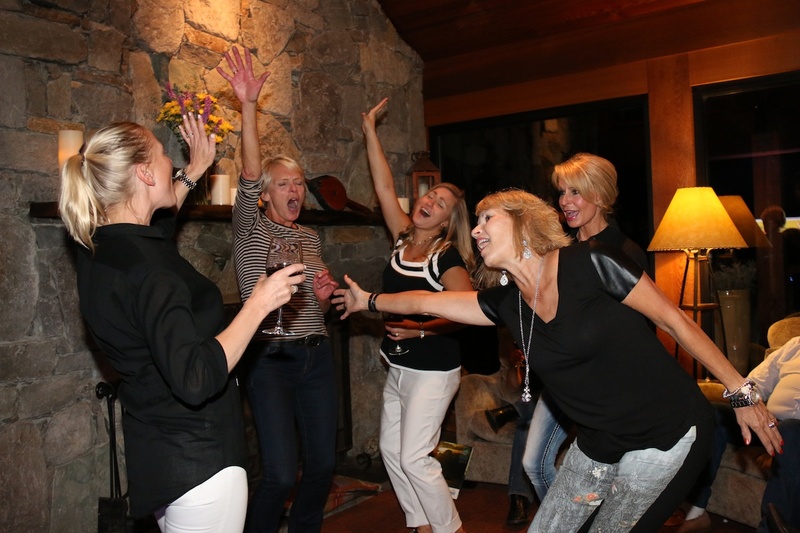 * A few of the ladies in attendance dancing the night away. 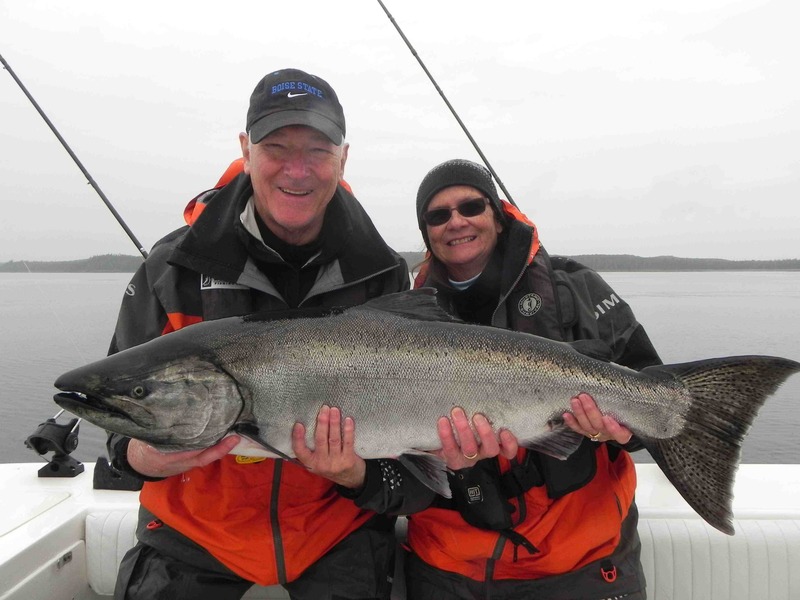 * Guide Cliff, Kim Gordon and Don Wells with the final Tyee of the 2015 season. 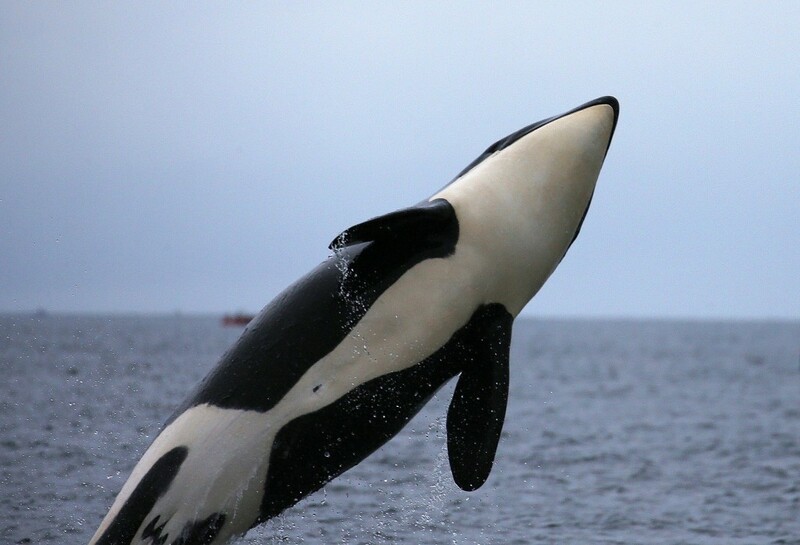 * Orca in flight captured by world renowned photographer George Fischer who was a pleasure to welcome back to The Clubhouse. 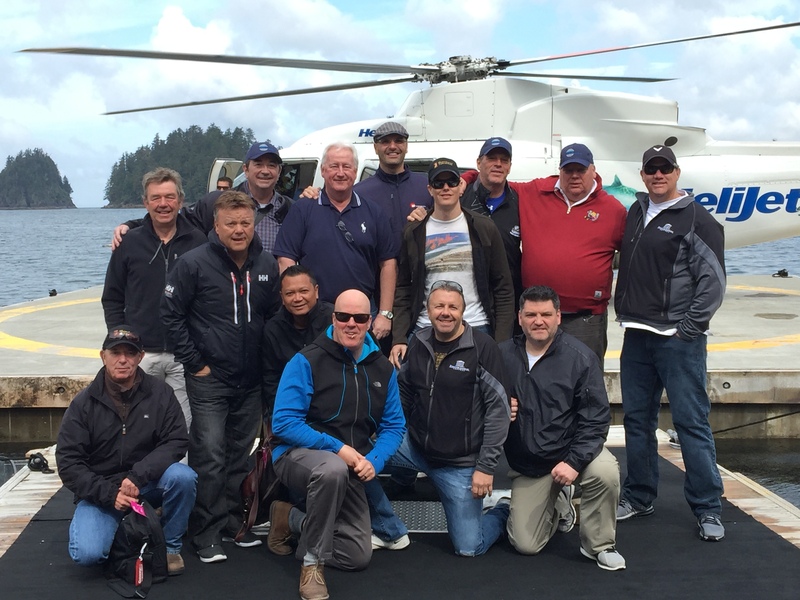 And when it was over, the final guests of the season boarded choppers along with some weary guides and staff who had completed another marathon season to the delight of discerning guests from across North America and beyond. *Goodbye to another great season and we look forward to welcoming you in 2016! Can next year hold more of the same? We don’t see why not, but as already noted, these things have to be seen, heard, felt, inhaled, tasted and sipped to be believed. 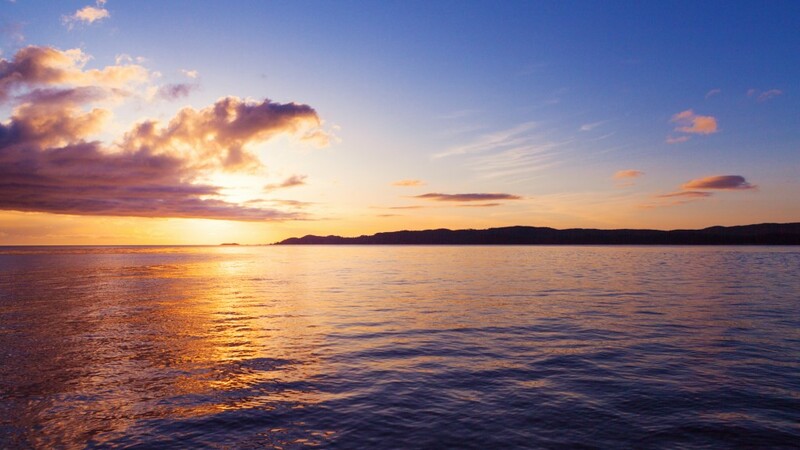 * Sun sets on a beautiful Haida Gwaii day. * Long live conservation minded angling to allow us to continue to enjoy this special experience for years to come. 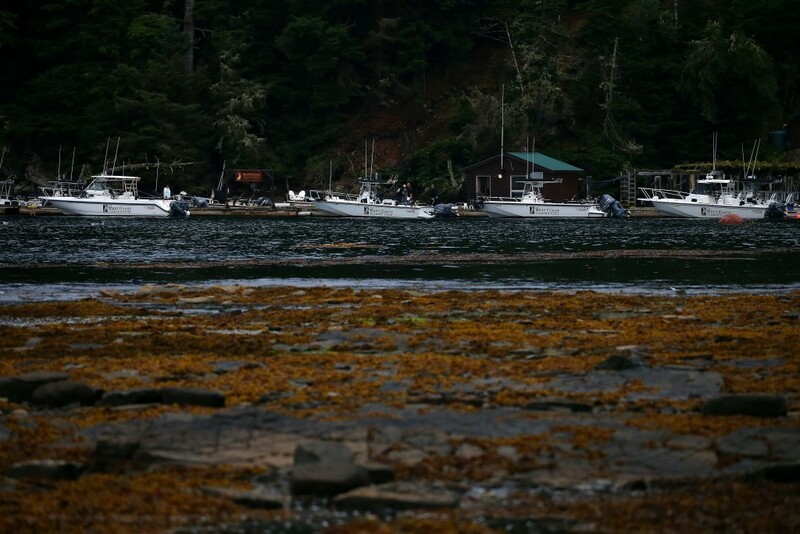 Coming off another phenomenal season in Haida Gwaii, bookings are again at an all time high as we continue to put together the intricate puzzle that is the fishing season schedule. We look are looking forward to an exciting 2016 season! If you haven’t confirmed your trip for next year be sure to call us TODAY at 1-888-432-6666 or click here to inquire online and secure your spots to give you something to look forward to until next season. Be sure to visit The Hub regularly for updates on everything WCFC, sign up for our newsletter and follow us on our social media feeds: Facebook, Instagram, and Twitter. Before signing off, please enjoy a few photographs from world famous photographer George Fischer’s time at The Clubhouse during the End Of Season Party! 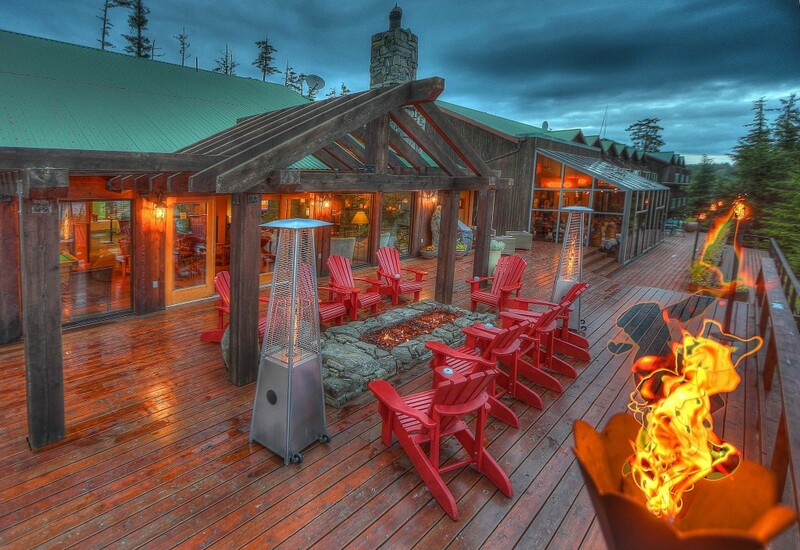 * Creative shot of The Clubhouse Deck. * Magnificent shot of Flower Pot Rock. * Pair of Orca Whales passing through. 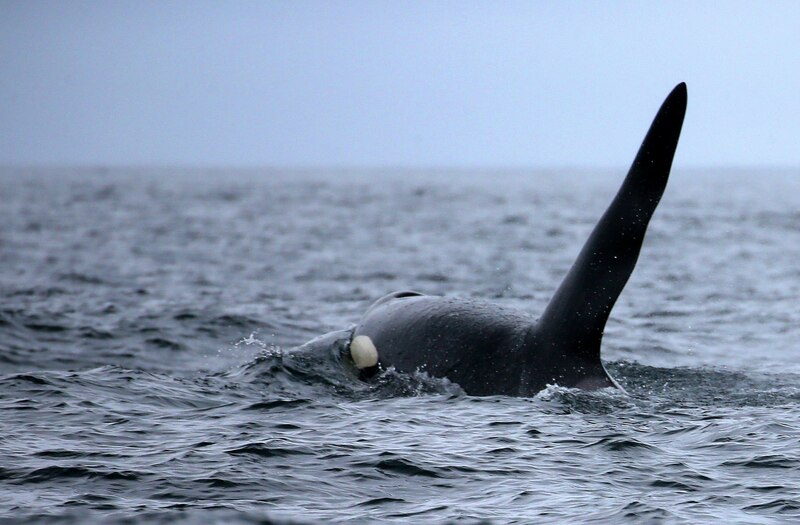 * Enormous bull Orca Whale flashing it’s dorsal fin. * Fleet of Boston Whalers ready for another day. * Pillar Rock in all it’s glory. 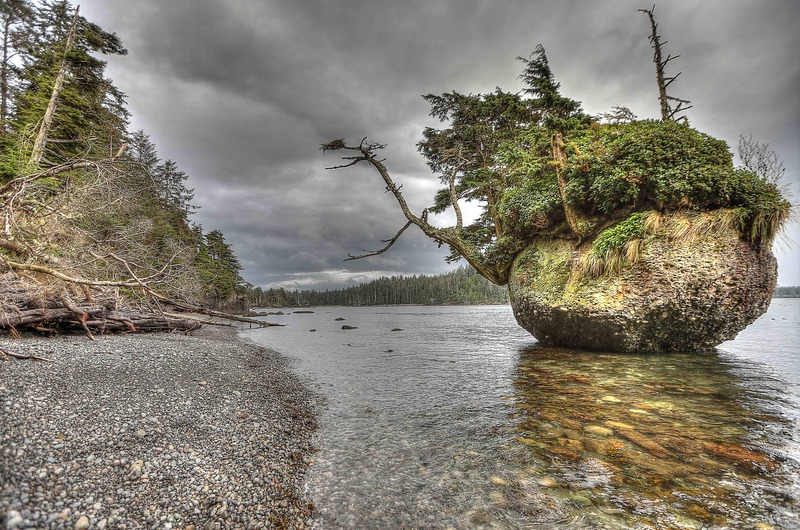 * Unique Haida Gwaii landscape. 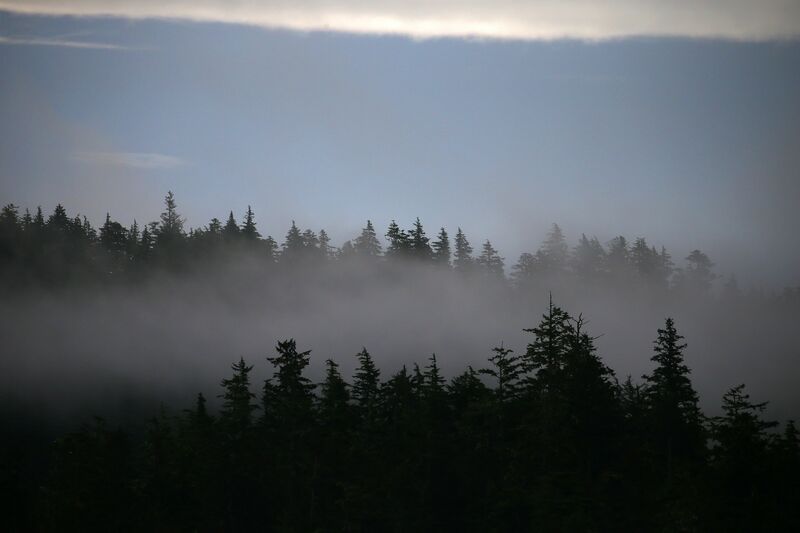 * Morning fog settling in on the old growth forest. * Lines up for another season as we say goodbye to our special corner of the world. Enjoyed all the pictures. Booked our first trip in July. I wish it was this week. Looking forward to it.